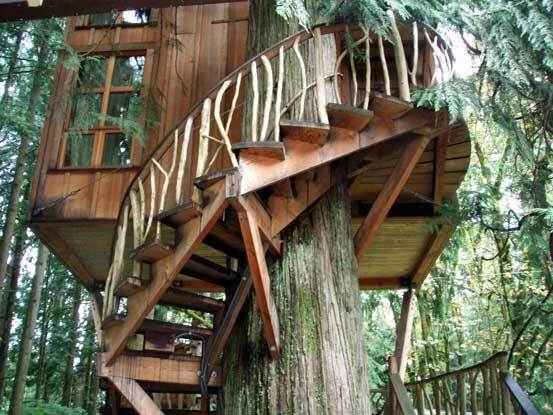 Who among us didn’t think Tree Houses were cool when we were kids. 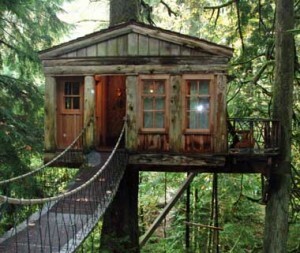 Well Treehouses are still cool and for some passionate individuals, Tree Houses are a way of life. We had the pleasure of meeting our Adventurer and now converted Itchy Nomad, Damon Bishop, while touring the famous TreeHouse Point treehouse collection in Fall City, Washington. What struck us was Damon’s commitment to his love of Tree Houses and how he changed his entire life to follow his dream. His enthusiasm is infectious and his philosophy is refreshing and life affirming. We hope you enjoyed meeting Damon and learning about his journey, the challenges he has overcome and the tips, lessons and strategies that he shared. Below is a list of these for your quick reference. Also, we are providing a link to Treehouse Point and Instructions on the Secret Way to Get Info. There are links to both the Book and Calendar that Damon mentioned, should you wish to buy those. Once you ask the question, you’ll be surprised how the path around the obstacles reveals itself. 1. Concentrate on changing your “vibe” from negative to positive. 2. Don’t concentrate on the “How”, instead focus on what you want and how that feels. 3. Hold what you desire in gratitude. 4. Act as if “The Thing” you desire already exists. 5. Pay yourself 1st. His rule is 10% or the first hour of work whichever is the greater and that you can afford. 7. Build in giving as a part of your money life. You will receive a lengthy information package back with pricing, available dates and other details. For general information about Treehouse Point you can go to www.TreeHousePoint.com. To take a tour you will need to reserve in advance as they fill up. The tour is a great experience for a very nominal fee. So glad you enjoyed the interview. Thank you for enthusiastic feedback. You now have the Top Secret tip on how to stay in one, OR, maybe you should build one of your own in your great back yard :-). Keep the comments coming Itchy Nomads. Fun interview! I sure would love to see those tree houses. The pictures are great too. Thank you CiCi. The camera sure loves Damon. So glad you liked the interview. Hope you are spotting lots of Whales! Your compliment about the pictures coming from someone like yourself with professional camera talents. What a fabulous interview! Damon presents both himself and his journey so well! I love your bravery Damon, both in leaving NY to begin a new chapter and in your ability to maintain a healthy relationship from a distance. 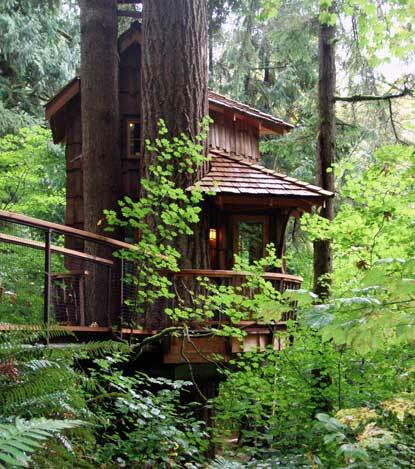 The treehouses go without saying…they’re amazing! Thank you Marcia for your wonderful endorsement. We totally agree that Damon is a wonderful communicator and it took courage for him to step out of his comfort zone and start his new chapter. We love you participating and look forward to hearing more from you. So glad to have you on the Caravan! I want to sell tree houses! 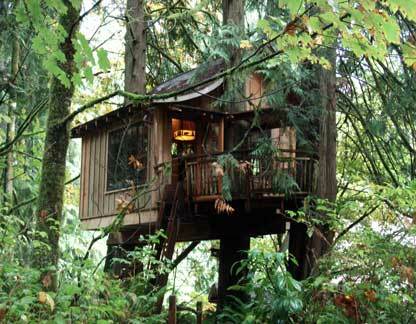 Wouldn’t that be fun to show Treehouses? You’d love the Treehouse tour. Thank you Sally for the comment. Always fun to hear from you. Hi Itchy Nomads! Thanks so much for tuning into the video and for the positive feedback. We’d love to have you come for a visit! I am also delighted to be welcomed as a part of this wonderful, adventurous, imaginative community! May we all find the courage to follow our multi-colored, magical dreams! We are lucky to have you on the Caravan Damon, and welcome your future Submissions for other ideas or Comments you might have. Your energy definitely made an impression on the other Itchy Nomads and we’d love to hear more from you. We would definitely enjoy a invitation when you eventually have your own Tree house and that dream comes true for you.